Seems like everyone has a theme for Fridays, so my plan is to share local Tampa or Atlanta art, style, fashion, and home decor on Fridays. The south is full of all kinds of treasures and in my opinion some of the best artists and interior designers in the business. To start with, today I am featuring the craftsmanship of a local Atlanta celebrity and a former classmate of mine from Georgia Tech, whose work is renowned throughout the world and especially the U.S. My buddy Matt Moulthrop has been turning wood since he was a child. You see it runs in the family! He is a third generation wood turner following in the footsteps of his grandfather Ed Moulthrop and his father Philip Moulthrop. 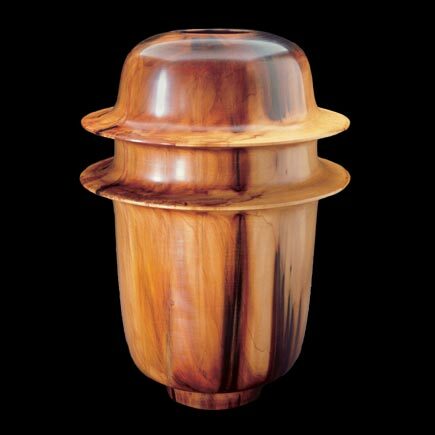 Moulthrop vessels came along at a time when modern art and craft traditions were merging, creating the perfect opportunity for bold new work! The family is committed to using only regional timbers, often from notable sources, and forms that best share their beauty. 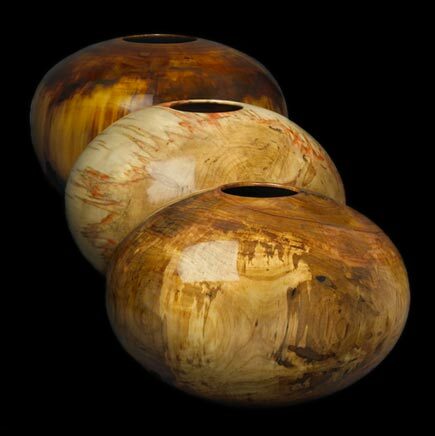 They’ve found an audience that ranges from leading art collectors, museum curators, and those who specialize in the field of wood turning, to your casual collector who just happens into a gallery and likes what they see. Anyone who was anyone at Coca Cola in the 70’s and 80’s owned a Moulthrop piece. The permanent collection at the Coke world headquarters on North Avenue and at the homes of American Presidents is a testament to this! These days it is not uncommon to see them at a Miami Beach house or a rapper’s condo in LA. I was at a dinner party earlier this year at one of south Tampa’s finest homes and was pleased to see a table of over ten Moulthrop’s from all three generations prominently displayed. The bowls come in all shapes and sizes including some of Ed’s large bowls that are 5′ tall and a person can sit in! According to Michael Shapiro, the Director of the High Museum of Art, “The Moulthrop family is an Atlanta treasure who literally have turned wood into art for three generations.” Permanent collections can be viewed in the Museum of Modern Art and the Metropolitan Museum of Art in New York, Chicago Art Institute, Renwick Gallery,Museum of American Art, Smithsonian Institution and the Boston Museum of Fine Arts to name a few. 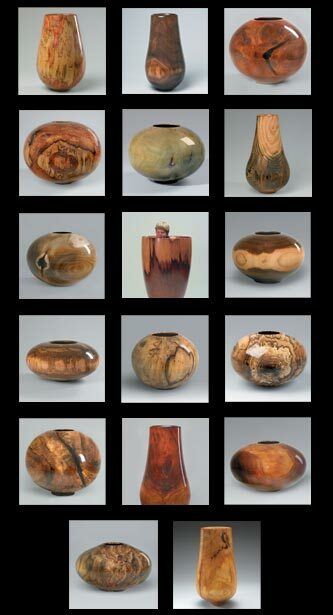 Ed and Philip’s pieces were even shown in the White House Collection of American Crafts. What I like about the bowls is that in a world that gets turned upside down with technology, this beautiful family work brings everything back down to earth. It is natural, yet it still looks modern and cool sitting in a high-rise loft on a glass table next to an i-pad! At Moulthrop Studios or a gallery near your home, you can purchase the piece that perfectly finishes off the decor in your pad, and that you will one day generously decide to donate to a local museum. These are really cool pieces and I know I have seen them before, many times, but never knew what they were. Thank you for enlightening me! I like this theme for Friday too. Thanks, I look forward to future Friday posts. I’m looking forward to a tour of their workshop in November, maybe I’ll have a followup post. Cool! You definitely need to take picture, if they’ll let you!